How many humans have admired the ability of birds to fly through the sky? Count me as one such admirer. What a wonder God’s winged creatures are, as they fly in the air! And some fly enormous distances. The bird who flies farthest, twice a year, is the ARCTIC TERN. This black-headed seagull migrates twice a year, flying back and forth from near the top of the world (Iceland, Greenland, etc.) to near the bottom (islands near Antarctica) – sometimes traveling 57,000 miles during a year! It has breeding nests (homes where it lays eggs and cares for its babies when they hatch) in far-north lands like Alaska, Canada, Greenland, Iceland, Scandinavia, and Russia, then it flies south to near Antarctica as the North gets cold. Because Arctic Terns often swoop over seawater they are also called “sea swallows”. 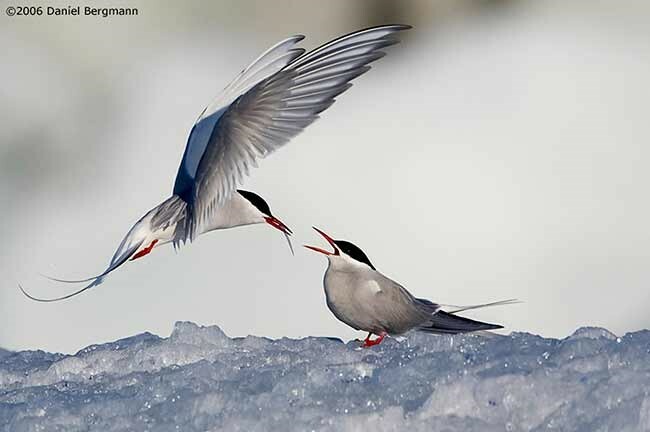 But, unlike swallows (that eat flying bugs), Arctic Terns use their red beaks to catch and eat small fish (as well as little crabs and shrimp-like animals called krill). And they better time on a regular basis — they certainly need fuel! 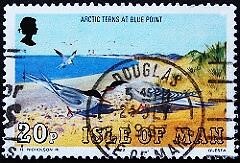 For more on this circumpolar aviator, see “Arctic Terns Set Mileage Records As Frequent Fliers”, posted at https://leesbird.com/2016/03/30/arctic-terns-set-mileage-records-as-frequent-fliers/ . 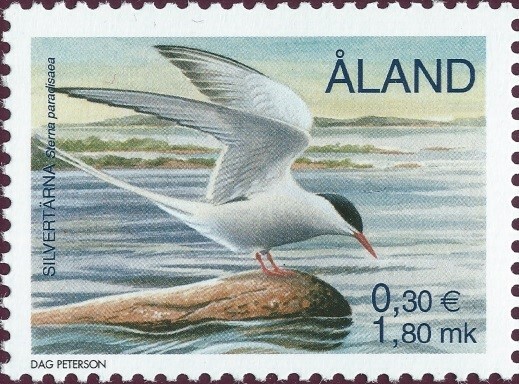 Arctic Terns (Sterna paradisaea), which weigh only about a quarter-pound, are the ultimate example of global migrants, accomplishing the longest-known migrations, every year, from near the top of the world to near the bottom, then vice versa. In fact, some Arctic Terns fly >50,000 miles in their pole-to-pole-and-then-back-again migration! 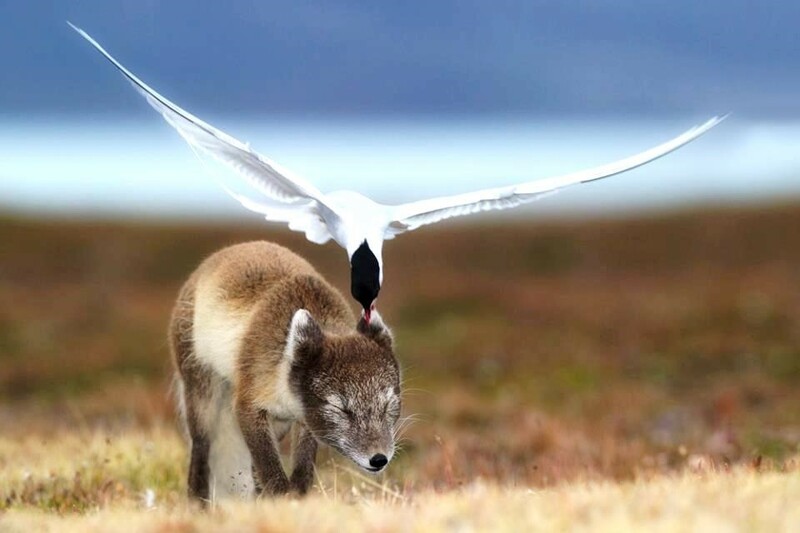 (And, if an Artic Tern lives 30 years, as some do, that could mean about 1½ million miles on his or her lifetime “odometer”, which is comparable to 3 round trips to the moon (i.e., that’s like 3 times, to the moon and back again)! Imagine how inconvenient it would be for a bird to arrive at the South Pole during May or June, when the weather is freezing cold and food is scarce. Or imagine a similar scenario at the North Pole during November or December, when the weather there is harshest. Thankfully, arctic terns follow the opposite schedule, synchronizing with temperature and seasonal food availability. The study of long-distance migration provides insights into the habits and performance of organisms at the limit of their physical abilities. Arctic terns clearly target regions of high marine productivity both as stopover and wintering areas, and exploit prevailing global wind systems to reduce flight costs on long-distance commutes. Ecologically speaking, it’s all a demonstration of “survival of the fitted”. 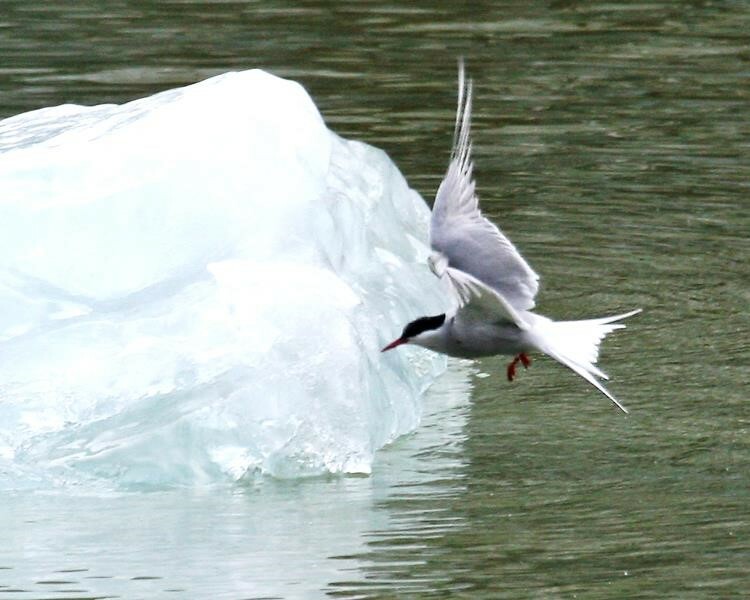 Arctic terns, like all birds, survive because they are divinely fitted to survive all of the interactive factors in their diverse and geographically extensive environments. Providentially, the arctic terns select season-synched flight times that repeatedly avoid the harsh winter months at both the North and South Poles. Likewise, the terns select flight plans that take advantage of global wind patterns and incorporate helpful stopovers for rest and refueling. Timing factors are interactive throughout this cyclical migration: the seasonal weather cycle, wind patterns influenced by daily rotation of the earth, food availability influenced by annual seasons, and the reproductive cycle of the terns themselves. In all of this, providential programming is both complicated and critical! Arctic Terns are circumpolar, i.e., their range largely covers the polar regions. Its “normal” turfs include its breeding grounds, spread variously over Arctic lands (like Iceland and Greenland), as well as the sub-Arctic parts of Eurasia (such as Schleswig-Holstein, Germany) and North America, — plus its migratory “timeshare” stopover lodgings, — plus its Antarctica wintering grounds (such as Wilkes Land), including “down under” islands near Antarctica, such as Weddell Sea islands or New Zealand’s South Island. 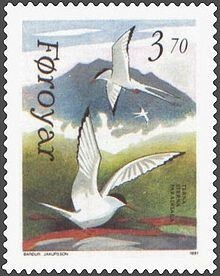 Thus, the historic fame of Thingvellir, Iceland not only derives from hosting the annual Althing events (ever since Viking times), but also from hosting the critical-habitat nesting activities of breeding Arctic Terns! 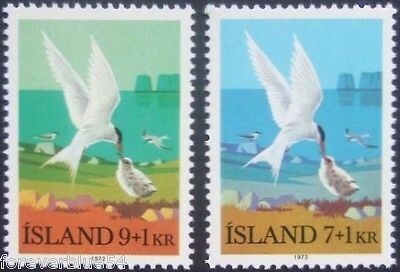 Unsurprisingly, these noble and courageous seabirds have been celebrated by postage artists and philatelists alike in Nordic countries (and quasi-autonomous jurisdictions), such as the Åland, the Færoe Islands, Finland, Iceland, Sweden — as well as in Canada — and in other countries (or quasi-countries, like the Isle of Man) that appreciate either the Arctic or Antarctic activities of this globe-flier.